It is a beautiful Sunday morning. Usually we go to church but this morning came too soon, after a sleepless night with Goldilocks…Anyway, when we finally did get up, I decided a hearty brunch would be a good way to get going. I brewed coffee for the hubby and I and proceded do prepare myself and the kitchen (wash up last night few dishes) for cooking. Last night, my best friend, Heather, and I decided we were going to make Ghee (ghee/gē/Noun: Clarified butter made from the milk of a buffalo or cow, used in Indian cooking). buttery, nutty, omg absolutely amazing! It is very simple to make, tastes delicious and smells even better! My house smelled like a freshly baked croissant :). Heather has been obsessed with a blog, mynewroots.blogspot.com, which the blogger puts up these delectable looking, good for you treats! So, ever the adventurers, we have decided to start trying her recipes, of course starting with sweet treats and such. 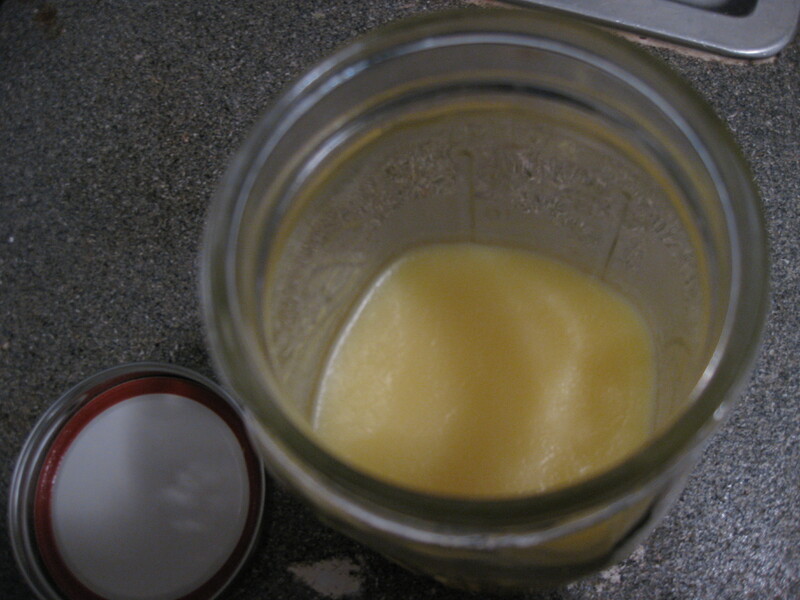 Ghee is one of her favorite ingrediants, however, so we decided it would be a good idea to make some. Now that I have my Ghee, I decided it would be a good idea to test it out in a few different ways: baking, cooking and sauteing. I had already figured out what I was going to be making for breakfast, I just had to decided how and where to use my delicious Ghee. First I whipped up some whole-wheat biscuits. Very simple to make, and I just replaced the 1/4 cup of butter with the same amount of Ghee. Those came out tender and flaky, just the way I like my biscuits! While I was doing this, I set some chopped up red-skinned new potatoes to boil for about 10 minutes. After I slid the biscuits in the oven, the potatoes 10 minutes were up so I dumped them in a seive and transfered them to a hot skillet in which I melted some of my Ghee. I then added some salt, pepper and thyme, stirred and covered them and let them sizzle, giving them a quick stir every few minutes. Put potatoes on low once they are fall-apart tender. Boiling the potatoes before putting them in the skillet is to give them a head-start on cooking, otherwise they will take forever to cook thouroughly, and no one wants to eat a partially cooked potato, do they? Definately a good brunch in my house as it leaves even the most ravenous of tummies full till almost dinner time. 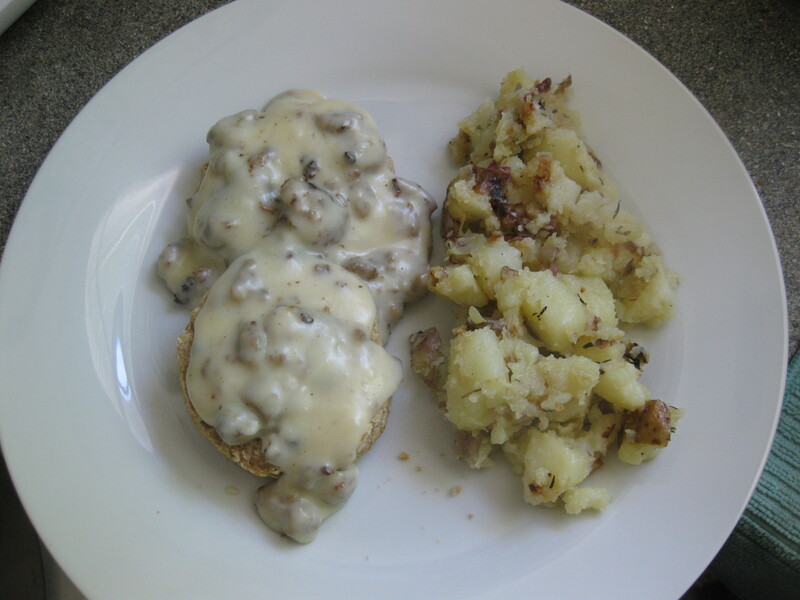 I will be adding actual recipes soon if you followers are interested….Let me know! Leave a comment :)For the next handcrafted masterpiece, Stay tuned …..